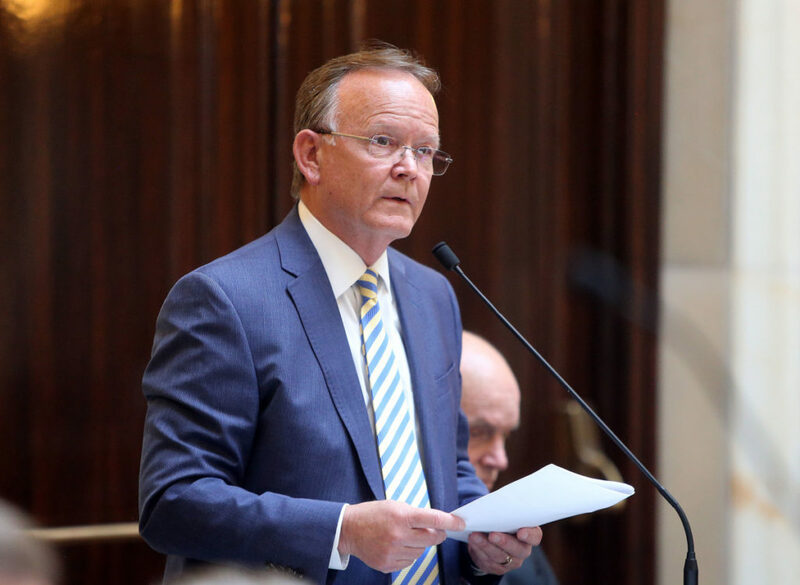 “We’re going to make the program work within the money the proposition provided,” the bill’s sponsor, Sen. Allen Christensen, R-North Ogden, told the Deseret News Tuesday. It raises the state’s 4.7 percent sales tax rate 0.15 percent in April — money that’s expected to bring $800 million in federal matching funds to the state for the full Medicaid expansion available under the Affordable Care Act. But Christensen said the state will once again seek a federal waiver from the Trump administration to get the same 90:10 federal funding match offered to states that accept full expansion — even though they’ve tried and failed before. Rep. Ray Ward, R-Bountiful, a longtime supporter of expanding Medicaid coverage, said there’s no reason to believe the administration will be ready to approve a waiver. He said an answer could take nearly a year. “The other way, we would put a bunch of people on Medicaid and turn around and take them back off again,” the senator said, adding that he hopes to work out a “default” that would permit the expansion to take place if the White House fails to act. “We’re going to expand Medicaid, come hell or high water, or the Trump administration,” Christensen said, promising new “safeguards” for the administration will be built into the bill, including enrollment caps. Last July, the New York Times reported that the White House was warned in a confidential memo that there was a “significant risk” Utah voters would approve full Medicaid expansion without action on the waiver by the Trump administration. The memo said that the U.S. Department of Health and Human Services “believes allowing partial expansion would result in significant savings over the 10-year budget window compared to full Medicaid expansion by all,” the newspaper reported. Details of the much-anticipated legislation comes as the loudest applause at United Way’s legislative preview breakfast Tuesday was for the “remarkable step” taken by voters to approve Medicaid expansion. The Legislature’s incoming Republican leaders, Senate President Stuart Adams of Layton and House Speaker Brad Wilson of Kaysville, offered no specifics during a panel discussion but both expressed concerns about the cost. Wilson promised any plan would “look very similar to what the voters passed, if we do anything,” noting Utahns made it clear in the election they want coverage for everyone and were willing to increase their taxes to pay for the program. “But we also have to remember the Legislature has a constitutionally mandated responsibility to balance the budget every year. So we’ve got to look at that and make sure we have some safeguards in place,” he said. 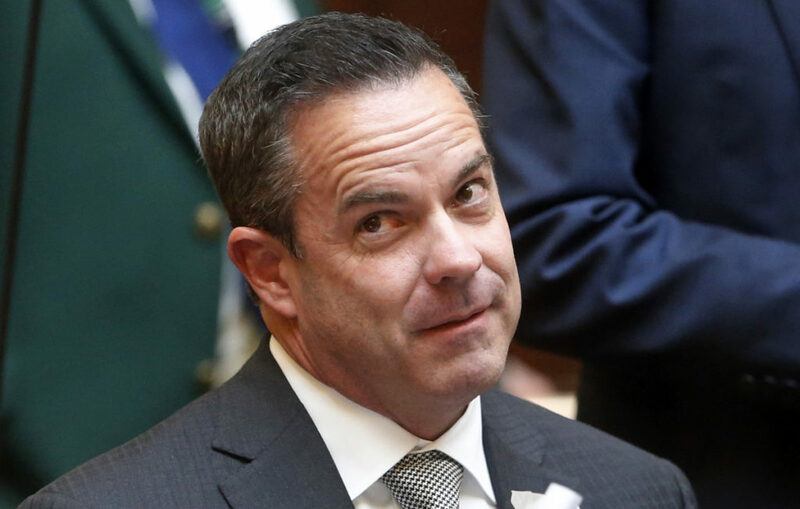 House Minority Leader Brian King, D-Salt Lake City, got a round of applause for saying Utah “can’t afford to wait” on any changes being approved by the federal government before extending coverage.